Man, I was gonna come up with a pun for the title but it was too much work. 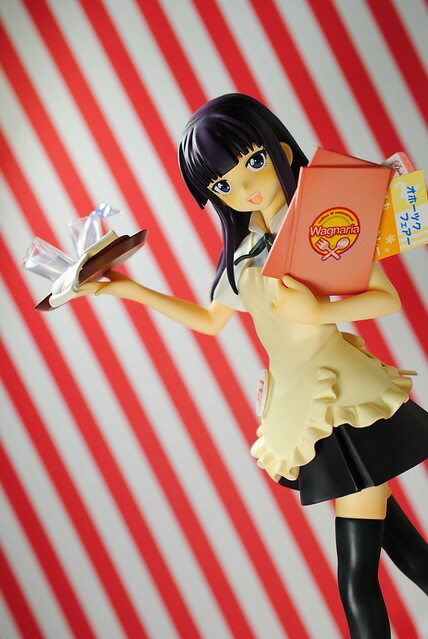 Today we are taking a look at Alter's rendition of Yamda Aoi from the nice show that is Working!!. I must say that Alter totally hit the jackpot with this one. Just from a glance I feel that Alter was able to capture the essence of the character quite well. 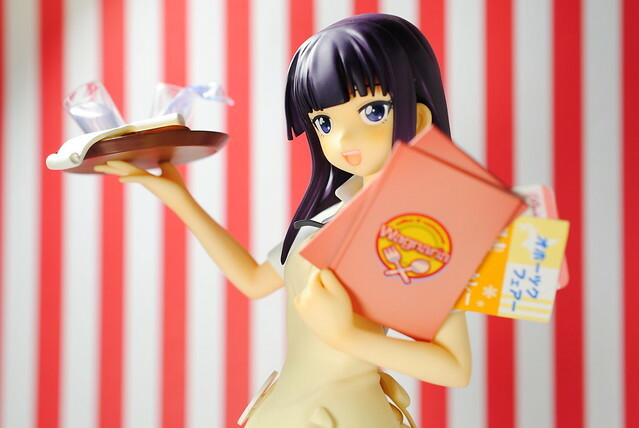 Just from a look you can easily tell Yamada is quite clumsy with the way she carries the menus and how everything is flying off the tray. You can see how she is oblivious to all of this with her happy expression. She usually means well but tends to fail spectacularly in trying to do so. 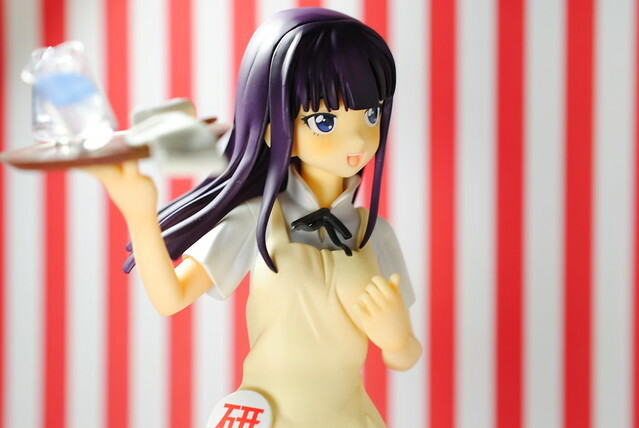 I really like Yamada, her clumsiness, happy go lucky oblivious personality, and quirkiness makes her my favorite girl from Working!! One thing I really like about Alter is how they tend to do less popular or more obscure characters instead of only going for whatever is popular at the time. 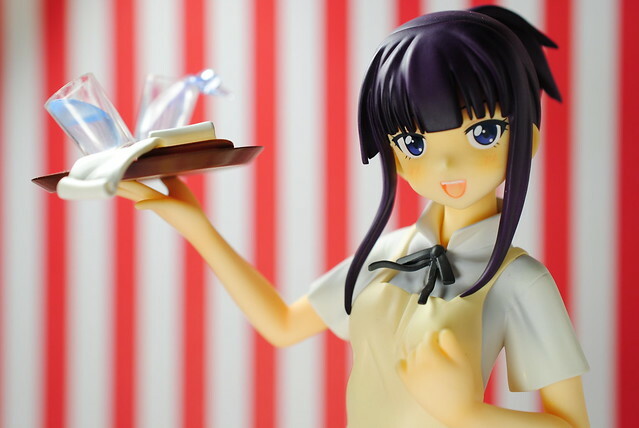 Alter being Alter did their thing and put really nice details even it Yamda is a simple figure. 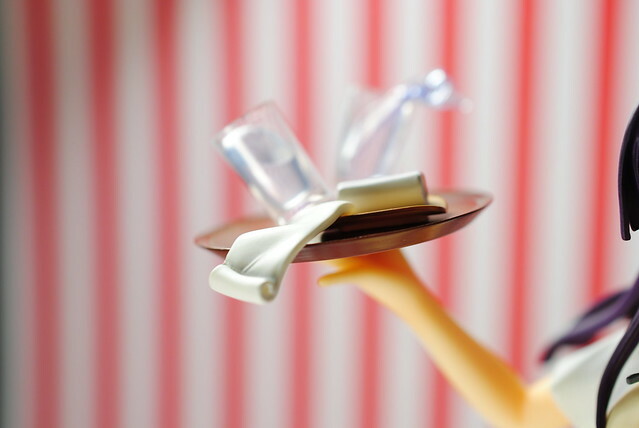 Detail such as the falling items on the tray. 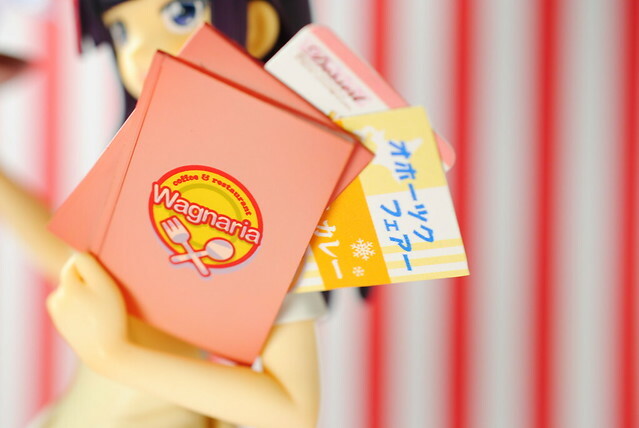 As well as with the menus, that contain quite legible writing and nice looking pictures of some of the menu items. 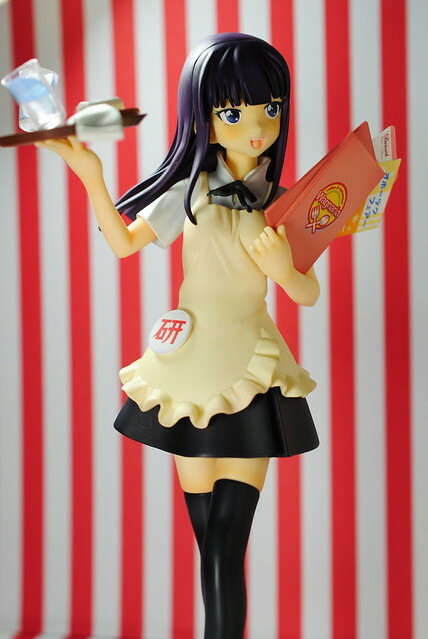 Yamada's apron also contains a nice amount of details in the frills, the creases over her breasts and her training badge. Which extends to the back with the nice bow and creases at the waist. 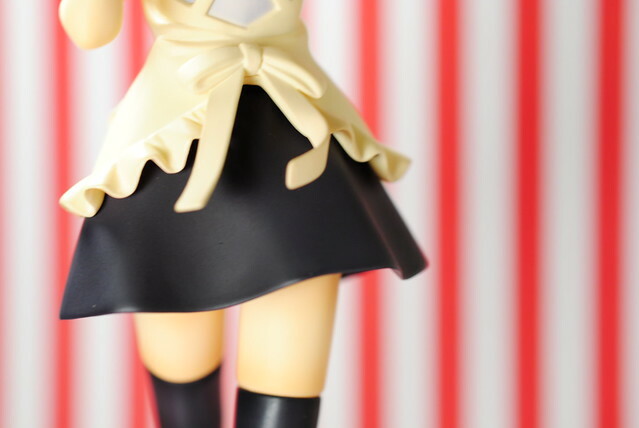 Yamada's stockings have the usual shine giving us a good look at your exemplary zettai ryouki. 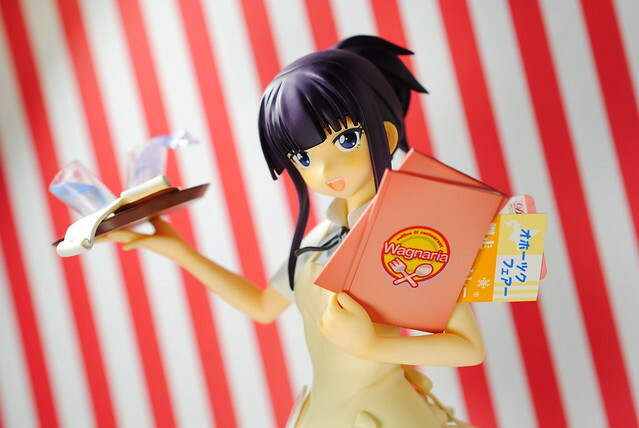 Alter included an alternate look for Yamada with her hair clipped up. One thing I found interesting is that instead of an alternate head or so Alter merely included an alternate hair piece with the pony tail. 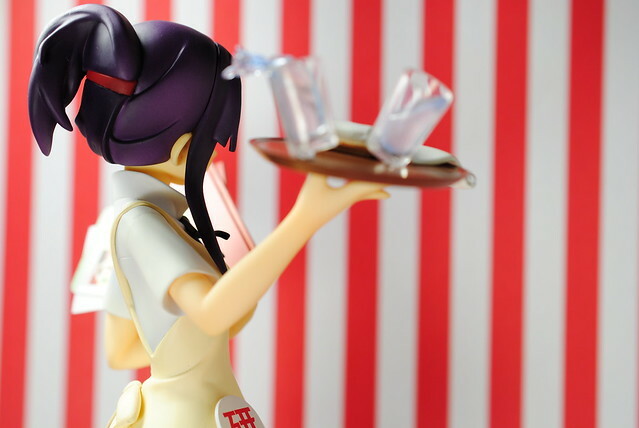 You can swap them in a manner similar to how it is done with figmas. While I can't remember ever seeing Yamada do her hair like that it sure raises her charm by 36%. Also, delicious nape if you are into that sort of thing. 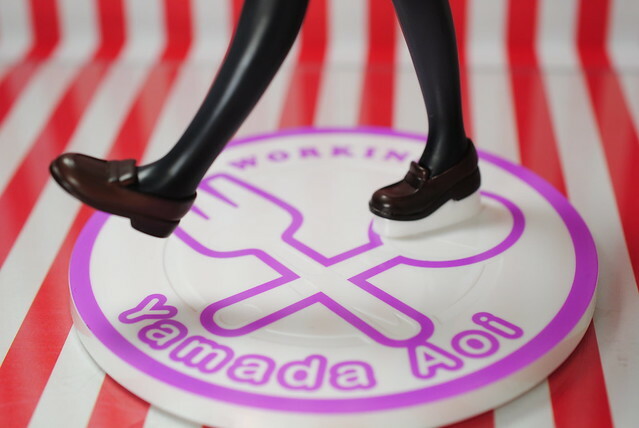 The base is pretty simple, typical circular base with Yamada's name and the show title. 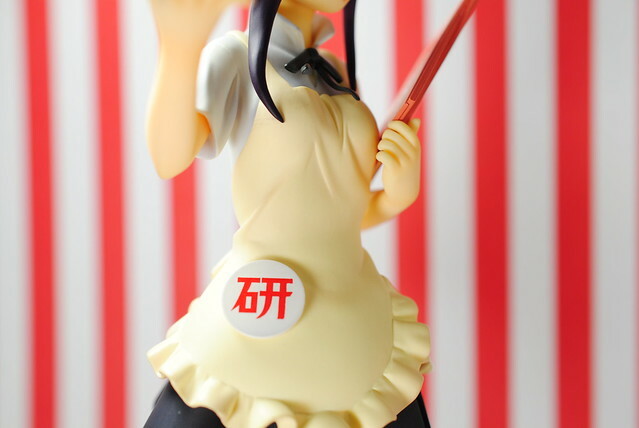 My wholly unbiased opinions says that Alter did a really good job on this figure and every one should go buy it. How can you not if you like the show. Plus Alter is so totally gonna make a set if you ask me. They released Yamada and announced a Poplar as well, I bet they do the other girls too. Hmm... makes me wonder if I will end up getting them all. I really like the Working!! girls they are a fun. Oh I wonder if there will also be a Kotori-chan one. I almost forgot to mention but I think Alter did a nice job with the face. Looks exactly as in the show. If haven't noticed I really like this figure. 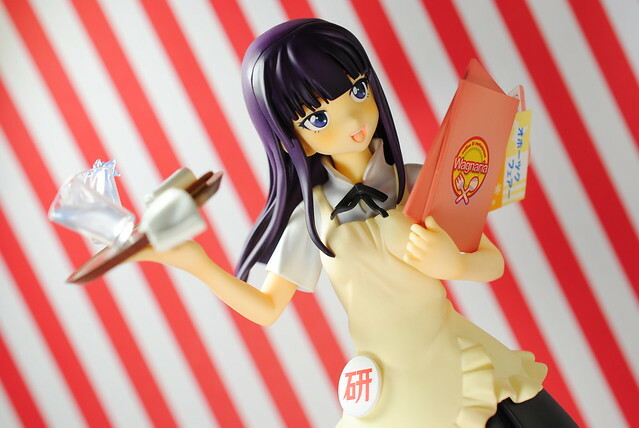 Quite happy Alter released a figure from Working!! and of my favorite girl no less. Flickr gallery with way more pics as always. Also, you should totally subscribe to the rss feed and follow on twitter. It's been a long time since I seen anything new on those ends. Alright then till next time.